In April 2016, the design-build team of Foley Company and Black & Veatch was awarded the Blue River WWTP Odor Control Phase 1 design-build contract for Kansas City, MO, Water Services Department. The proposal submitted contained two parts: 1) technical proposal and 2) lump sum fixed price with a 20-year life cycle cost analysis. The criteria for selecting the design-build team was a point system developed to evaluate the team’s technical background, experience, project approach, lump sum fixed-price construction and engineering work, and the life cycle operation and maintenance cost analysis. Download WDBC's landmark research report, "2017 State of the Demand for Design-Build Delivery in the Water/Wastewater Sector"
The RFP contained performance requirements with minimal prescriptive elements. The RFP did not contain any preliminary engineering design but did have some basic specifications. The design-build team led by Foley Company recognized very early that because of the performance-based requirements, collaborating with an odor control equipment supplier was key to submitting a successful proposal. Evoqua was eventually chosen as the equipment supplier and the design-build proposal was written and estimated around the use of their odor control technology. The decision to collaborate with one equipment supplier produced positive results and best practices that can be followed by design-build teams to promote early supplier collaboration. 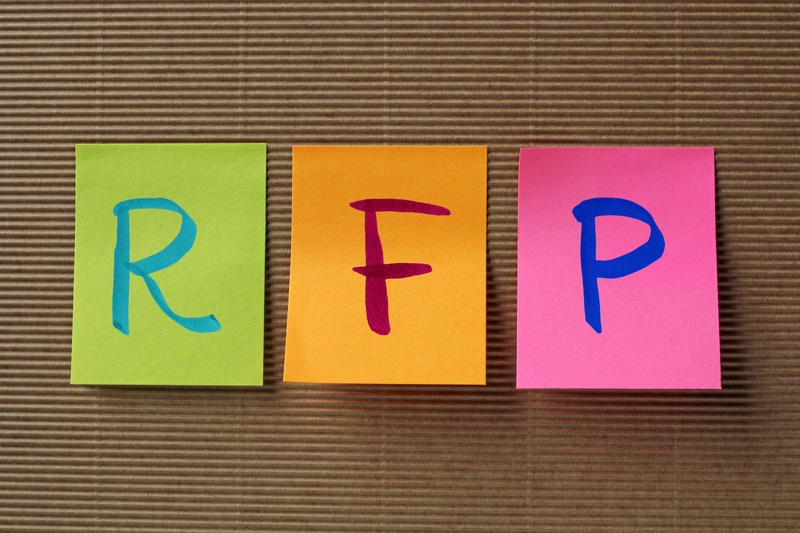 Identify the treatment processes and technologies that are part of the RFP. Research the equipment manufacturers and identify potential equipment suppliers. Interview the potential equipment suppliers; discuss the technology and how each manufacturer’s equipment could benefit the project. Communicate to the equipment supplier the expectations and requirements for startup, training, and commissioning. Request equipment pricing. Evaluate the life cycle cost and how each supplier’s equipment affects the cost of the other aspects of the engineering and construction. Evaluate and rank each equipment supplier based on its suitability and performance characteristics for the project. For a fixed-price design-build, rank each equipment supplier based on equipment cost and life cycle analysis cost. Throughout the RFP phase, communicate to the equipment manufacturer any technical changes or deviations that are considered while writing the technical proposal. Based on previous evaluations and ranks, select equipment supplier that the design-build team believes is best suited for the project and gives the design-build team the best chance at winning the project. Begin the process of negotiating the terms and conditions between the design-build team and the equipment supplier. This saves time in the event your team is selected to complete the project. After completing Steps 1-9 above, Foley/Black & Veatch chose Evoqua to provide the biofilter scrubbers for the odor control project. Recently, the Foley/Black & Veatch design-build team achieved final acceptance for the Blue River WWTP Odor Control Improvements Phase 1 design-build project for the Kansas City, MO, Water Services Department. The odor control equipment passed the 30-day performance period requirements. The project is providing critical air cleansing and odor control improvements in three areas of the plant where hazardous levels of odorous compounds make working conditions unsafe and routine maintenance operations difficult to complete for the staff. The fixed-price design-build contract is on time and within budget, proving the merit of collaborative delivery methods to estimate, plan, and execute critical projects. The Foley/Black & Veatch team is convinced that early supplier involvement was a key factor in being awarded this project. There are several benefits to the project directly related to early collaboration with the equipment manufacturer (Evoqua). A fixed-price cost is more certain, thus lessening the amount of contingency needed and making the proposal cost more competitive. Lead time for submittals and procurement is reduced, thus shortening the project schedule. The project execution plan can be completed earlier. Planning for startup and commissioning can begin earlier. The benefits of early supplier participation can increase the chances of success of your next collaborative delivery project if the correct steps are taken at the right time. Kevin Waddell has 24 years of experience working in the heavy construction and civil engineering industry. He has extensive estimating and project management experience on both small and large projects for water/wastewater facilities and heavy civil construction. Dedication to meeting clients’ needs and providing accurate, detailed preconstruction information is what he brings to each project he undertakes. Mr. Waddell’s strengths range from conceptual estimating, construction feasibility studies, and project cost analysis to subcontractor selection and value engineering.